This entry was posted in Inspiration, Life, Peace, People, The Journey and tagged B4Peace, Forgiveness, future, happiness, Life, Peace, Philosophy, Thoughts. Bookmark the permalink. Hello Jo, I am not sure what’s happening with email notifications. I have the same problem with some of the blogs I follow too. I ended up going back into the preferences section in the reader and setting up the email notifications again. Its a very odd issues because it seems to happen at random. I hope you’re well, your recent post on Thailand was fascinating. I think you are correct in saying forgiveness is a gift and I do believe it is as much a gift to ourselves as to the other person. 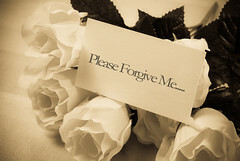 Still, there may be times when we can forgive, but still avoid the offender. I am thinking in terms of repeated abuse by the same person and other persons even after they know they hurt you like in bullying or other forms of abuse. I tried repeatly to reach out to the school that contributed to my daughter’s torment and I never reached out in anger. Still, it is now time to admit that they will not openly accept any responsibility and we must forgive them and move on with our lives. That does not mean that we have to now say they are wonderful if anyone asks. We will merely say our experience with them was not good, but we hope and pray they are growing in knowledge and changing as we grow by letting go of the anger. BTW: I shared your post on my FB page Village of Support and on Twitter under my alter ego, @nouturnsinlife. Mahalo for writing this post and for sharing it with us. Thanks Sue. I agree about avoiding the offender in bullying situations (sadly they happen a lot at work as well as at school). There have been so many cases in the news that I’m amazed any school fails to deal with bullying appropriately these days. I suppose some are still better equipped than others and expect much of it comes down to the attitudes of the staff. Having been bullied as a child (by older kids and by a teacher!!) I understand how horrible the situation is and how helpless it can leave you feeling. I now have a zero tolerance approach to any form of bullying, I learnt the techniques for dealing with it as an adult and have shared these with my son to ensure he doesn’t suffer any abuse in education or the workplace. I hope your daughter is able to avoid the people who’ve tormented her and can move forward with her life happily and without worries. The school have failed you both and you’ve been hugely forgiving in the circumstances. What a beautiful post! My only complaint is that I now have Cake’s song “Friend is a Four Letter Word” stuck in my head. Well said Tracy. I hope you’ve managed to put these trials and tribulations behind you and that you are moving forward again. Hopefully when I eventually shed this mortal coil my good deeds like saving the wren and helping an elderly man in a wheelchair with his shopping yesterday (supermarkets haven’t realised how difficult it is to open their upright freezer cabinets, hold them open and reach something from the upper shelf when you’re unable to stand) will mean I get reincarnated as something other than an insect or earth worm. Spider would be fine 😉 I don’t see the point in self-destruction and bearing grudges or being unable to let go is a sure fire way to implode. Someone told me I have an indomitable spirit – it sees me through all kinds of things and forward is the only way to go. Very nice! Archbishop Tutu agrees too! Archbishop Tutu is a remarkable man and having studied apartheid during my degree I was shocked at the extent of controls and restrictions placed on black South African people. I hadn’t seen this video before but it’s nice to know my thoughts on this subject are aligned with those of someone who fights for many humanitarian causes. What an excellent post. Wouldn’t this world be a much kinder, more tolerant place if we followed the premise of this post. Thank you for sharing it. This is a fabulous post, Tracy! Very inspirational and I’m so glad you’re now without that person and well on the road to recovery 😀 I feel your strength building with every post.